Organisations employ professional drivers to deliver products to customers and act as ambassadors for the brand and they are in many cases the face of your company. But how well are your drivers trained for this job? UBUHLE HR is not referring to their ability to drive a truck or safely negotiate a crowded freeway that is taught in driving school. We are asking about their ability to professionally and effectively interact, to present an outstanding image to your customers so that the customer experiences your organisation as a high-quality delivery operation.  Drivers typically spend more time at your customers than sales people. 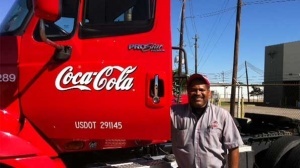  Drivers are often viewed as “the face” of your company.  A professional interaction with a customer will leave an impression that often is passed up to the purchasing or executive group.  Drivers can influence sales at a customer.  A negative interaction with a driver can cause you to lose the next sale. 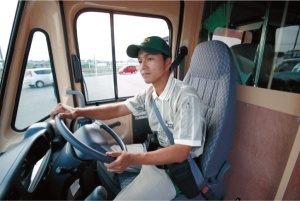  A properly trained driver can lessen the impact of an ordering error.  A branded truck is a mobile bill board for your organization. So how do you prepare your drivers to ensure a professional interaction that leaves a positive impression? Most companies, unfortunately, do not provide any type of customer service training for their drivers and assume they will act professionally. A poorly trained driver who is dressed sloppily, doesn’t have his paperwork organised, does not greet the customer pleasantly, becomes defensive if confronted about a problem and doesn’t know how to handle an unusual request will leave a very bad impression. Receiving supervisors typically have a good working relationship with the buyers and they do share information about vendors and a driver is a representative of you, the vendor. A series of negative comments about a poorly trained driver can quickly impact a buying decision. Alternately, positive comments about professional and cooperative drivers who are attentive, efficient (quick deliveries = lower receiving labor) and helpful may push the next order your way. To recognise how a Delivery Driver’s attitude affects customer service. Next Next post: Build your confidence and boost results in selling your products and services.